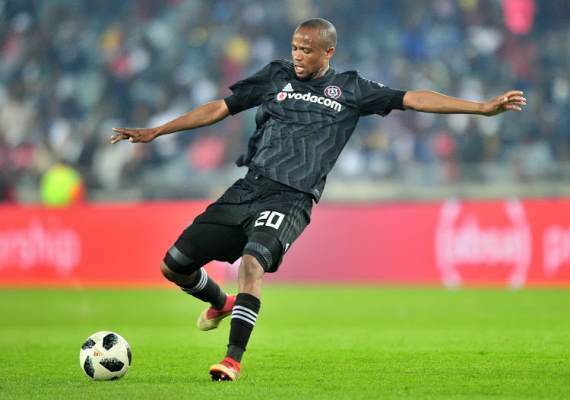 Orlando Pirates central midfielder Xola Mlambo says he is using his consistent omission from Bafana Bafana as motivation to improve his game. Despite proving to be one of the best players in South Africa in his position, Mlambo has been snubbed by Bafana Bafana coach Stuart Baxter on a number of occasions. Nonetheless, the 27-year-old is remaining positive about the situation and aims to work as hard as possible in future. He told the Times LIVE: "As a professional player you have to understand and know the challenges that come with being a professional player. "All of those reports and saga [about me playing for Bafana] I didn't take it to heart but I took it as a motivation for me to keep working hard. "The fact that I haven't been given the opportunity to play for Bafana [yet] says maybe there's a lot of work that I still need to do. I think there are still areas that I still need to improve on. "It's not important at the moment [to worry about Bafana selection], but what matters is how can I improve my game to improve my chances of representing the country. "There's still a lot that I need to improve and I'm working on those things with the technical team. "I think I need to improve defensively and in terms of attacking and scoring goals but it's a process and it takes time." The player is likely to start on Saturday when Pirates take on Baroka in a Telkom Knockout final at the Nelson Mandela Bay Stadium. Kickoff is 18:00.